We are in a highly transitional time on Earth as old structures break down in preparation for the new world that is coming. The accelerated pace of this time of spiritual evolution is forcing each of us to awaken the shaman within and reach our highest potential as quickly as possible. We no longer have the luxury of learning only from the past--we must also download information from the future in order to be fully present, fully conscious, in our most embodied and best self now. Incorporating the wisdom teachings of Seneca Wolf Clan Grandmother Twylah Nitsch with shamanic journeys and shamanic breathwork practices, Linda Star Wolf and Anne Dillon explain how to heal the past, learn from the future, and activate the imaginal cells within our human energy field. Imaginal cells are the energies of what has already happened and will happen stored in the blueprint of the invisible world. By tuning in to these imaginal cells, you can open access to your spiritual blueprint--the hologram of who your highest, best self is meant to be--and accelerate your evolutionary potential in this lifetime. Including information received by Star Wolf from the future, the book explores how to develop a communication link with the universe, receive guidance from the universal mind, and draw information from the future to be more potent and powerful in the present, live in harmony with one another and the planet, and fully prepare yourself for the new world to come. I believe that we are all born with a powerful shamanic spirit. Like the rest of the natural world that we are so deeply related to, we are given many wonderful shamanic gifts from our Divine Source. One of the most powerful gifts given to us from the Creator is the inner knowing and wisdom that informs us when it is time to let go and to die and be reborn into a whole new level of consciousness. I accepted many years ago that I am on earth in part to assist and guide others in connecting to their shaman within, particularly now as we are moving into the Aquarian Age and everyone can open to their inner shaman. We can open to our inner shaman by utilizing tools like Shamanic Breathwork, which helps us to learn how to develop the nonlocal mind in order to avail ourselves of ancient wisdom as well as to receive the fertile downloads coming in from the future realms of consciousness. To access the nonlocal mind means being able to access different periods of time and different places with our thoughts instead of merely being able to focus on the here and now. The nonlocal mind is not restricted to past, present, or future events but can travel between all three realms. It is the field that prayer, miracles, visions, and revelations draw from, including the sense of déjà vu. The laws of synchronicity are active in this kind of shape-shifting reality, and cause and effect are not what they seem to be in linear time. According to many of the great spiritual traditions--Hindu, Buddhist, esoteric Christianity, and some indigenous teachings--everything already exists and, in a manner of speaking, has already happened on some imaginal plane of existence; everything already is. I refer to this as Isis = is is. Events are not going to happen, nor will they happen some day. However, because of our innate need to focus on times and events sequentially in order to have a “human experience,” we are created and designed to see the past, present, and future in a linear space-time continuum. They are self-styled reference points that we have collectively created so that we can exist in a spatial reality where our life lessons are learned, and synchronistic occurrences congregate to give us clues about the truth of our powerful shamanic natures. Some of us know how to gaze into the future to read the Akashic Records, which are variously described as a cosmic library or a kind of supercomputer whose esoteric data includes everything that has ever happened in the cosmos and everything that ever will. Psychotherapist and author Michael Newton has written extensively about his experiences with clients who, in a state of deep hypnosis, have been able to access these records in order to make decisions about their own life’s path. Visionaries like Buckminster Fuller and others such as Henry Ford and Albert Einstein could easily draw upon this energy. Barbara Marx Hubbard, a well-known spiritual evolutionist, refers to this energy as the imaginal cells. The imaginal cells are the very valuable part of us that already have an existence in another realm. They are the seeds of the future that are constantly downloading into our human energy fields and into our human levels of consciousness. You might say that the imaginal cells represent our human potential, but it’s actually more substantive than that because our imaginal cells already exist within the matrix. If we can tune in to them we can open ourselves more easily and allow them to come in and create who we are meant to be more quickly. They will do this over time anyway--with or without our consent. However, when we consciously invoke them and actively surrender to the process of change, we accelerate the process so that we can bring in our newest incarnations in a much more rapid fashion and thereby speed up our evolutionary process as it pertains to consciousness and making the quantum leap. Walking in shamanic awareness in the Aquarian Age is not necessarily about knowing the “correct” order for calling in the four directions or the “exact” number of stones to be placed in the medicine wheel, or the “right” way to behave in a particular ritual or ceremony. Awakening the shaman within is much more about learning how to heal oneself by knowing oneself--the light, the dark, no difference--and through this awareness awakening the inner wisdom keeper and shaman. 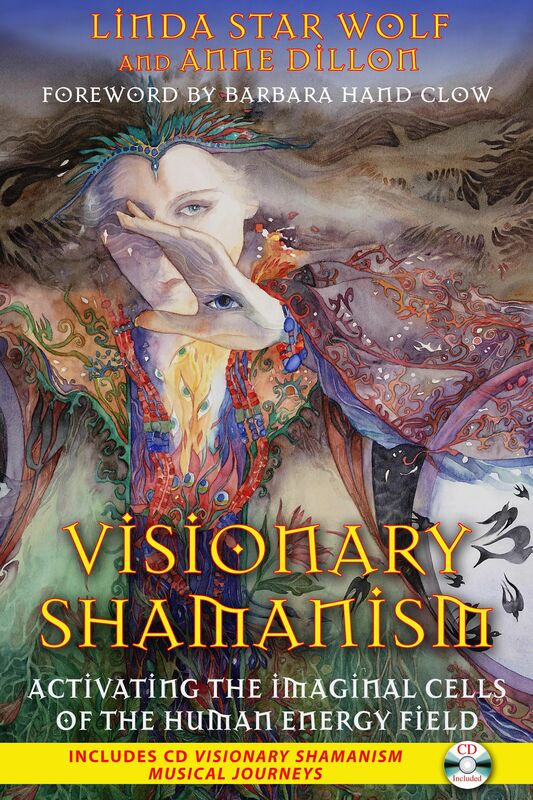 The inner shaman is not only interested in further evolving powerful spiritual traditions by respectfully honoring what has been but also being able to stand on those teachings as foundations while continuing to dream the dream forward in an upward spiral of spiritual wisdom. It is time to ask ourselves what the twenty-first-century shaman looks like and take a long hard look in the mirror while we are listening for the answer to our question. When we learn to accept our multidimensionality we become responsible for our creations in the world of time and space. In so doing, we actually become co-creators with God, living out our destiny as universal humans and actively co-creating the future with the Great Mystery. At this point, no matter where we find ourselves in this vast universe, at last we will know that we are and always have been home. Anne Dillon is an editor, Reiki practitioner, and student of the alternative healing arts. She lives in Waitsfield, Vermont.